Artiklu li ġie ippubblikat fit-Times of Malta illum. Redemption is first on stage in Giuseppe Verdi’s operas, but the composer never explored the theme as deeply or as personally as he did in La Traviata. Perhaps his most daring opera of all, La Traviata survived a notoriously unsuccessful opening night at Teatro La Fenice, Venice on March 6, 1853, to become one of the best-loved operas in the repertoire. 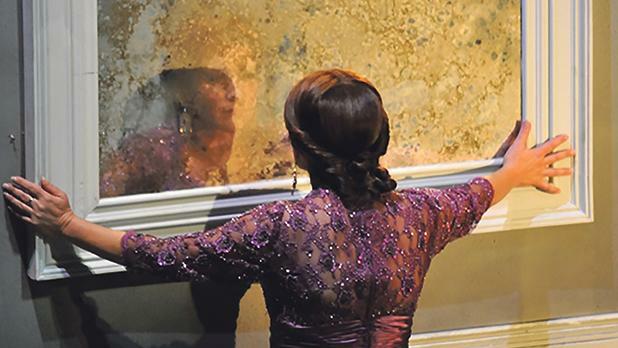 La Traviata still resonates with audiences today because its tale is universal. This year, it opens the 17th edition of the Festival Mediterranea with a double representation at the Astra Theatre in Gozo later this month. Michael Formosa, Festival Mediterranea chairman noted that the interest triggered by the month-long festival and the opera in local and international artistic circles is placing Astra Theatre on the same footing of major theatres in European cities. He expressed his gratitude for the work of a large number of volunteers involved in the artistic, technical and administrative work of the festival, and specifically, the opera. 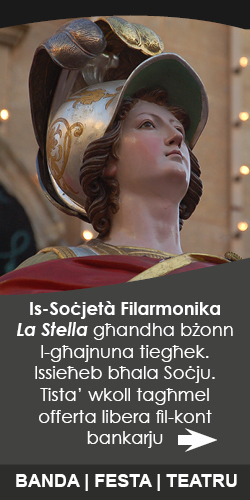 “La Traviata will be a lavish treat which will mark the theatre’s 50th anniversary; however it will also be remembered as the first opera at the Astra which will not be conducted by Mro Joseph Vella, whose sudden demise in February triggered shockwaves in the local and international music fora,” Formosa told the Times of Malta. 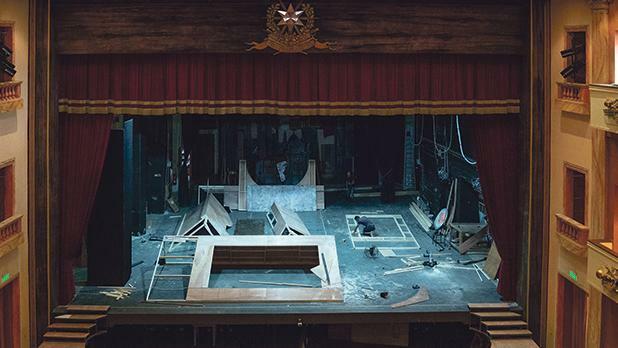 “While being very grateful for the vital corporate support and State funding, Astra Theatre still considers that the voluntary element, despite its inherent challenges, underpins the large-scale endeavours that the La Stella Philharmonic Society animates, including the opera,” he added. The opera is one of the most iconic in music history. The bulk of this standing is carried by its heroine, Violetta Valéry, one of the most powerful and admirable characters in art form. She is a complex being who has to fight off a past that is questionable only because society says it is. With her, Verdi questioned the social boundaries of the time, taking a contemporary subject and placing it in the opera house during a time when opera was only intended to look backwards. And it is also the only one of his operas to specifically take place in his own time, about 1850. That was his wish, though for the premiere the censors forced him to shift the period to some 100 years earlier. Violetta requires not one voice, but a combination of three: a soprano coloratura, virtuoso and brilliant; a voice sufficiently vibrant and lyrical to convey the burden of the sacrifice imposed by her lover’s father, and one possessing a sense of the heart-rending drama amid the dying flames of the consumptive heroine’s last instants. The tragic actress turned tightrope walker sways unsteadily on a flimsy cord stretched to snapping point. Having sung Violetta at the Astra in 2010, Miriam Cauchi has already demonstrated all these qualities. 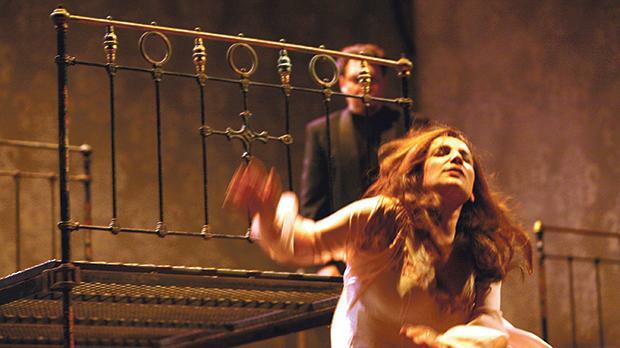 Now, for the second time in Gozo, she is portraying Verdi’s fallen woman. “I made my Violetta debut at the Astra Theatre way back in 2010 with the late Mro Joseph Vella as conductor. It is a role which I am very fond of as it is challenging vocally and dramatically but also very rewarding in its climatic build-ups,” said the Gozitan soprano. “Her role is as light as a glass of champagne in the first act, followed by a second and third act in which a lyrical, dramatic and wide-ranging voice is required to reach the depth of interpretation and balance with the orchestra, soloists and choir,” Cauchi explained. She went on to say that the role of Alfredo (being played by Italian tenor Giulio Pelligra) is pivotal as Violetta feeds off his role for her character development and final tragedy. Each singer brings his own individual interpretation which affects the dynamics of the performance making it unique each time. “Verdi’s instincts as a dramatist are renowned, and he provides us with an incredible energy and momentum in this story, as well as moments of great grandeur and operatic glory,” he continued. “But what stands out for me are the moments of intimacy, of deep, true emotion between Violetta and Alfredo, and how much we come to care for them, through such exquisite music. “I loved conducting this wonderful work in the past, and am excited to do so again with such a great cast, and of course my friends in the MPO,” he added. The opera concerns itself with social issues contemporary to Verdi, almost autobiographical in places with regard to his own relationship with soprano Giuseppina Strepponi, who became his lifelong companion (and she had several illegitimate children). This classic production with elaborate mid-19th century costumes features some of Verdi’s most evocative music, including the Brindisi (the drinking song) – one of the best known melodies in opera. Flamboyant drinking songs and masquerades for gypsies and matadors interrupt an intimate story of love, jealousy, forgiveness and fatal disease as Violetta waits for the return of the only man she has ever loved. The title role of the ‘fallen woman’ has captured the imaginations of audiences and performers alike with its inexhaustible vocal and dramatic possibilities – and challenges. If Verdi had lived, say, in the baroque era, when operas nearly always had happy endings, Violetta might have been swept away by her new lover, amid the promise of a brand-new promise of luxury and bliss. As long as we continue to form our opinions of others based on first impressions, La Traviata will remain relevant whatever era it is set in. La Traviata is being staged at the Astra Theatre on Thursday, October 25 and Saturday, October 27 at 7.30pm. Online booking and more information at www.teatruastra.org.mt or helpdesk number 2155 0985. The inspiration for Violetta was a real woman, Marie Duplessis, a Parisian courtesan who passed away just five years before La Traviata opened in Venice. Dumas (who wrote the original play) was one of her lovers. When she died of tuberculosis at age 23, all of Paris mourned. Beautiful and carefree, courtesan Violetta is the life of every party. But behind that dazzling smile, she knows she is dying. Unaware of her troubles, shy Alfredo is in love with her. Violetta is torn: is the promise of true love worth giving up her life of freedom? Portrait of Giuseppe Verdi by Giovanni Boldini. She takes a chance on a life with Alfredo living in the country, and it seems she could be happy. But Alfredo’s father has other ideas. He demands the impossible: that Violetta leaves Alfredo, for the sake of his family’s reputation. Devastated, Violetta agrees, and writes Alfredo a letter of farewell, concealing her love. Alfredo is heartbroken and furious, and coming face to face with her at a ball, he delivers the ultimate insult. Will Alfredo learn of Violetta’s undying love before she succumbs to her illness? It was in Paris that Verdi first saw Alexander Dumas fils 1852 play La Dame aux Camélias (The Lady of the Camellias). The composer was inspired – at last, a ‘provocative idea’. 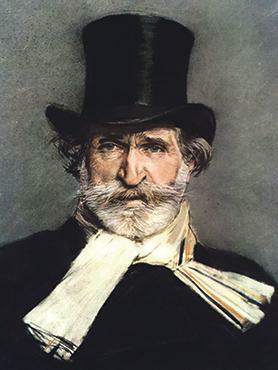 Verdi believed the story of the fallen woman was a “subject for our own age”, and inspired, he wrote the score in just under a month – while working on Il Trovatore. Perhaps Verdi’s most famous letter. Sent the day after La Traviata’s disastrous premiere. He wanted the story to confront his audience, and so set it in contemporary times. However, the 1853 premiere in Venice was not well received. Consumption causes its victims to waste away, and the overweight, middle-aged soprano in the title role was simply implausible. It seems the contemporary setting was also a mistake. The composer refused to allow another performance unless he could be sure of a talented cast. It took nearly a year before the opera was performed again in Venice. With a different cast, and a historical setting, La Traviata was an immense success. Today, it is one of the most-performed operas in the world.